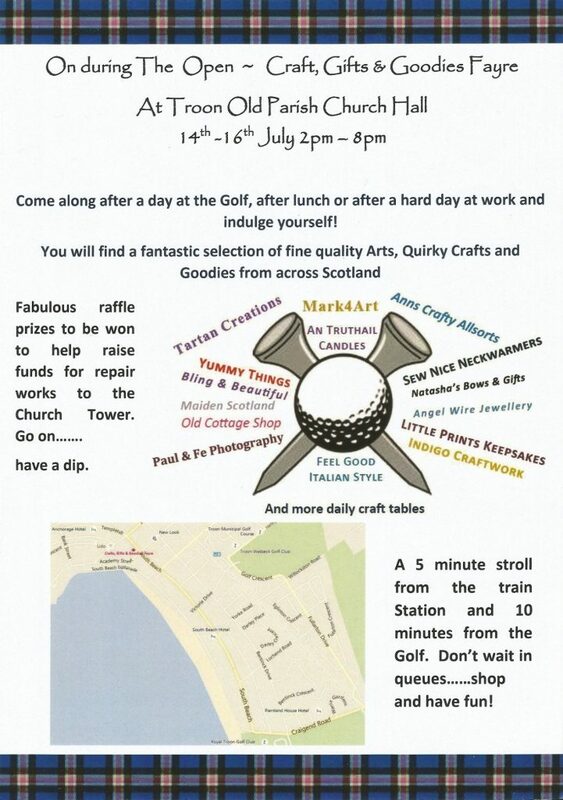 Our friends Margaret Parker and Lorraine McLean are running a Crafts, Gifts & Goodies Fayre to coincide with the first three Play days of The 145th Open at Royal Troon. The Fayre is on daily from 2 pm to 8 pm, Thursday 14th through Saturday 16th in the Church Hall. Come along after a day at the Golf, after lunch or after a hard day at work and indulge yourself! You will find a fantastic selection of fine quality Arts, Quirky Crafts and Goodies from across Scotland.